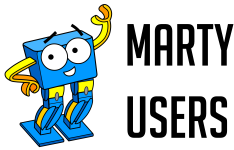 This lesson pack will begin to introduce learners to different programming concepts that will allow for more sophisticated programs to be created in terms of how we control Marty, make decisions and respond to different values. By the end of this lesson pack, learners will have a basic understanding of some basic concepts including loops, events, parallel programming, variables and if statements. They will also be able to use these concepts to program Marty in different ways, such as to create a remote control program.